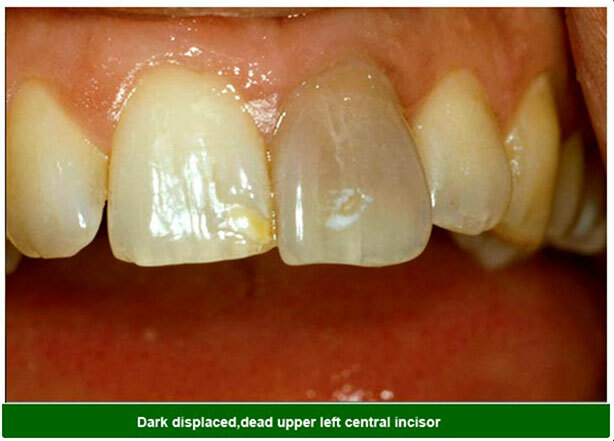 If you have had a root filling the dead tooth may be discoloured.This can be treated with inside / outside bleaching. 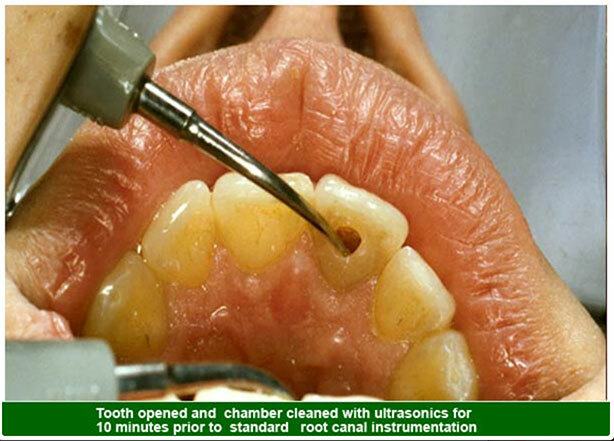 With / outside bleaching the access cavity at the back of the tooth is opened up and cleaned out with an ultrasonic tip. 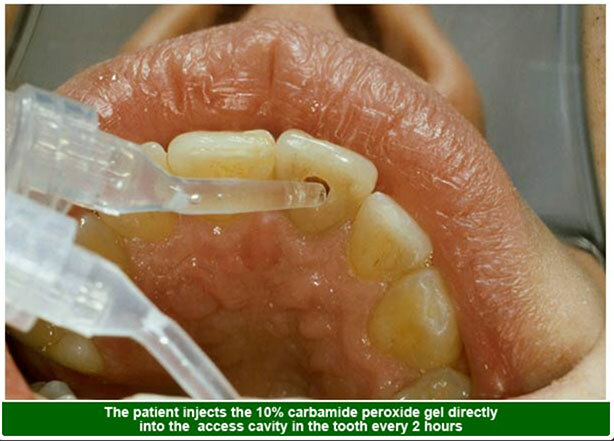 The 10% carbamide peroxide gel is placed within the access cavity using a syringe.The appropriate part of a bleaching tray covering the outside of the tooth is filled with the gel and gently fitted into the mouth.The gel should be changed every two hours and kept in place overnight. The tray can be removed while eating and the access cavity then cleaned out with a toothbrush using some of the gel. The cavity and the tray are then refilled. This process usually takes three to four days.